I received this product from the company, with no promise of review. 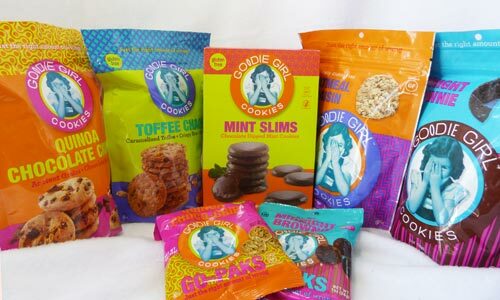 Goodie Girl Cookies are an all-natural, super delicious line of cookies that are amazingly gluten-free. So many yummy cookies, so little time! All are gluten-free…..but you’d never know it. Honestly, I had no idea these were gluten-free when I tasted them. It wasn’t until afterwards that I found out. That says a lot! The first two flavors are the Oatmeal Raisin, and the Midnight Brownie. I had received a package of these in a subscription box. When I took the first bite, I was slightly put off. But after the second bite, yum! 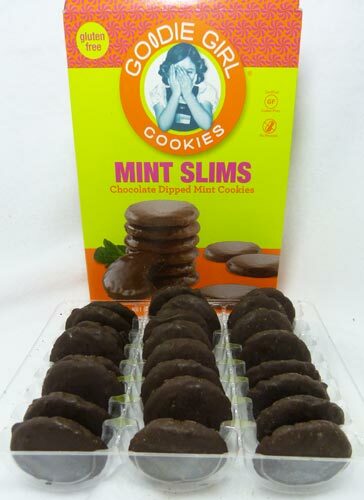 I really liked these, and this is the flavor that I had me contacting Goodie Girl for a review. My tween daughter who is a picky eater gobbled these down & wanted more. Yup. They’re good. Goodie. You get it. This is where my honesty comes in…. Although I really liked the flavor of these cookies & they tasted great, the scent that they have is odd. This makes you think they wont taste good when you go to take a bite. I mean think about it. When you take a bite of something, it hovers under your nose for a bit, that smell triggers your taste buds. I couldn’t pinpiont it, but it wasn’t in the taste at all. These were real good. A bit more ‘minty’ than the other ‘girl’ cookies. Mr. SnuggleBunny didn’t like the texture. The rest of us liked them. Hmmm… I wonder how these are frozen? I love Thin Mints frozen. ….off to the freezer! 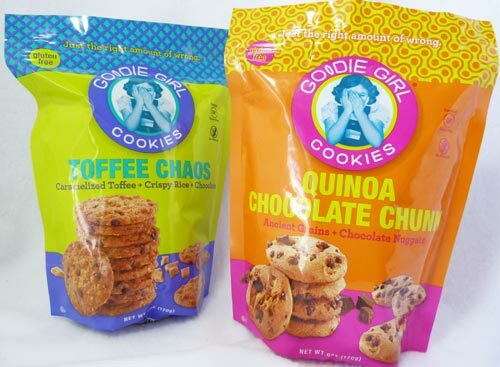 A mom, native New Yorker, and founder of Goodie Girl Cookies, began her quest in 2010 to create an all-natural, super delicious line of cookies that are AMAZINGLY gluten-free. 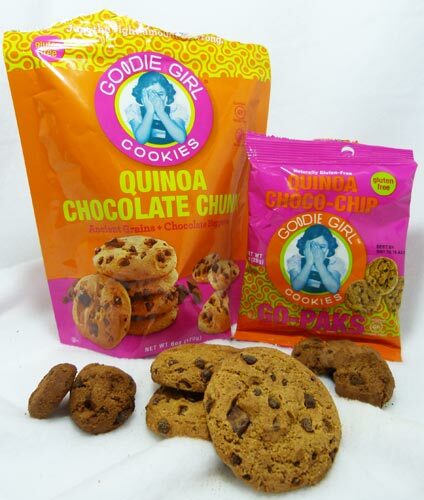 Aimed at everyone who loves cookies while still accessible to the 30% growing population who avoid gluten. She succeeded! They have large 6oz bags available (Mints come in a 7oz box), and they have smaller Go Bags as well. The last flavors are the Quinoa Chocolate Chip, and the Toffee Chaos. The Toffee Chaos were my absolute favorite. They are crisp and flavorful. They taste like…. well, a toffee cookie! Not a gluten-free healthy cookie. You can’t keep these things away from me. 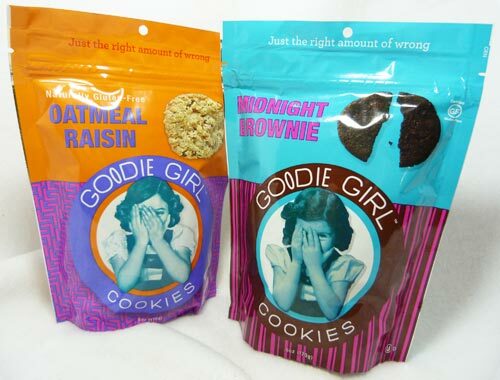 To find Goodie Girl Cookies near you, visit their Store Locator. After reaching out to Goodie Girl, I found them at my local Target. Now I can continue to enjoy these delicious cookies! Or, you can order online if no stores in your area carry Goodie Girl. Visit Goodie Girl Cookies today!